I have another creation to share! While I'm off from work this week I thought that I would work on baby girls's Valentine outfit. I used my Cricut to cut out the XO using my Alphalicious cartridge and welded the letters together. I love how it turned out! 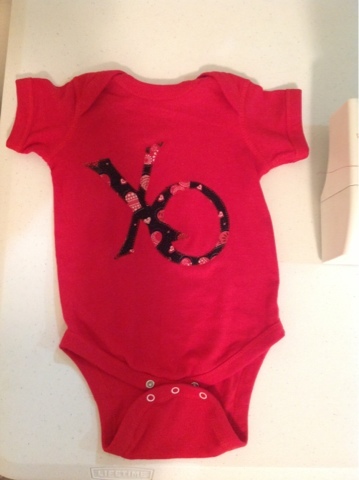 Here is her onesie! What settings do you use to cut fabric on your Cricut?